Rangers. 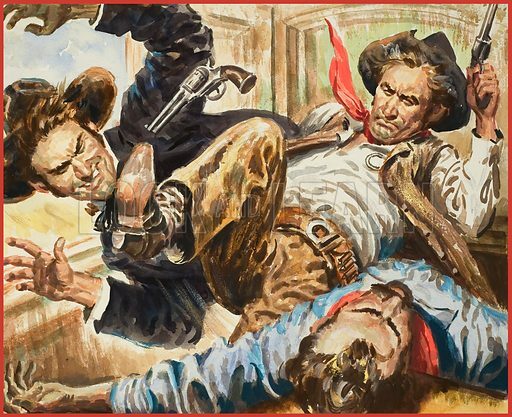 John Wesley Hardin was the West's most dangerous killer, yet Ranger Lietenant Armstrong, captured not only him, but four of his friends. Original artwork for illustration on p10 of Look and Learn issue no 804 (11 June 1977). Available worldwide for immediate download up to 4,431 x 3,611 pixels.